Brass beetle necklace with patina base. Beetles represent transformation. 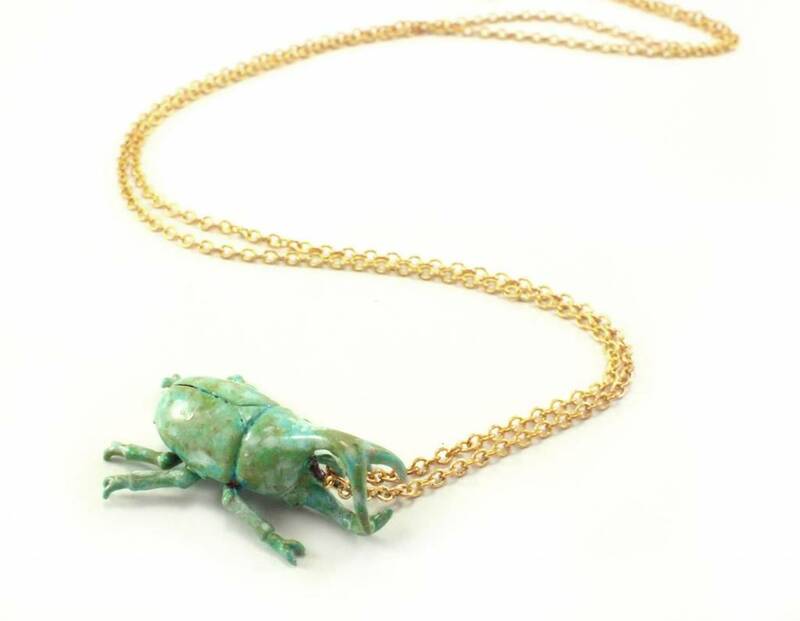 This sweet green beetle necklace is 100% brass, with a patina base, and hung on a 22" chain. From Migration's in-house line and made in small batches, each one is unique and nickel free.